The debut album of their quartet Patchwork Of Time received much praise from the media and the audience. This is how BR Klassik decided: “Tangled and powerful, it is tied to traditional music and new […] is created. 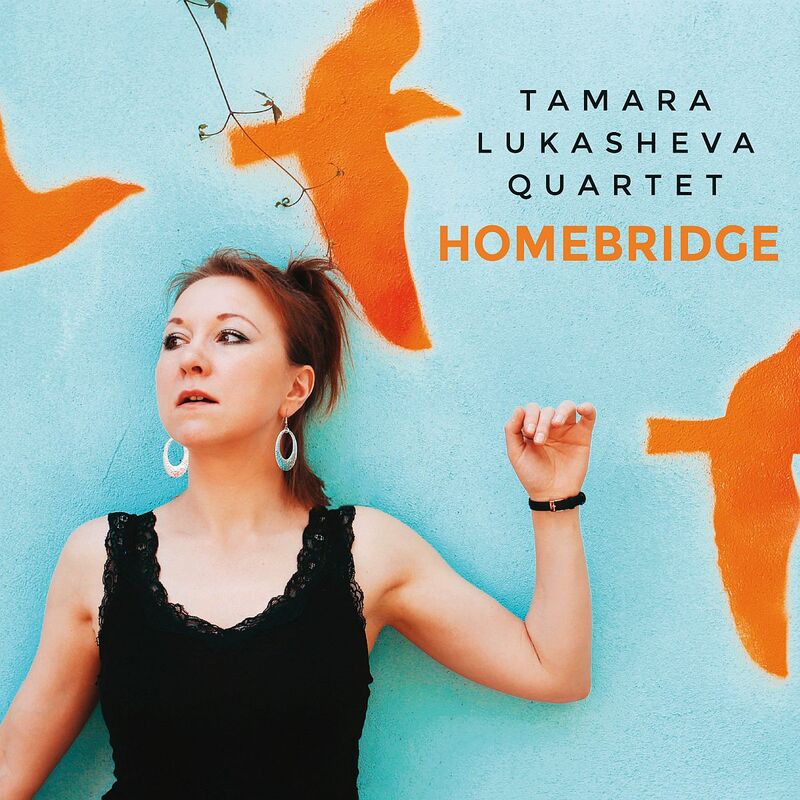 A high […] for the composer Tamara Lukasheva, which brings her excellent vocal temperament and the complex of her music in a so-called flowing movement. “And in the Jazzthetik was read:” Tamaras voice is versatile, lively, full of surprises and technically on the highest stand. “In 2014, Lukasheva’s quartet was awarded the Young German Jazz Award Osnabrück. The following year, the band won second prize at the Keep an Eye Jazz Awards in Amsterdam, and in 2017 the New German Jazz Award was presented in both categories (ensemble and soloist). The lively and distinctive style of Lukasheva’s vocals and their sometimes subtly playful music are rooted in their personal history. When she moved from Odessa to Cologne in 2010, she had already gained considerable experience and stage successes in her old homeland. Born in 1988 as the daughter of a professional musician (mother classical pianist, father jazz saxophonist), she grew up surrounded by high-caliber music. At 16, she began her career working as a classical trained pianist and jazz singer with renowned Ukrainian artists, including four years with jazz legend Yuriy Kuznetcov. She was a soloist in the Big Band of Odessa, formed a duo with pianist Roksana Smirnova, stood on festival stages in Kiev, Moscow, Rostov, Sevastopol. As soon as he arrived in Cologne, Lukasheva founded her quartet, which remains unchanged today. The new album Homebridge captivates with even greater musical range, refined ideas and intensity. Lukasheva describes the development since the debut and in relation to other productions, in which she participated in the meantime: “I had a certain character of the pieces in mind and therefore noted the compositions in advance more precisely than before.” This new adjustment of the artistic focus continues to allow improvisations, but above all leads to a more pointed elaboration of the band’s own timbres. Compositions and arrangements reveal new nuances and details even after repeated listening. In addition to Lukasheva’s impressive richness of facets, the playful profile of the musicians becomes clearer. The precise division of the individual voices gives the band sound more depth and at the same time increases the dynamic potential. “If you put jazz on the same level as improvisation, then the new pieces now reflect a lot more of my different musical influences,” notes Lukasheva. These include childhood memories of musical and pop from Soviet times, strong melodies and certain phrasing, specially emphasised words and political subtexts. Later, classical music and folk were added, followed by an in-depth study of jazz. In Homebridge songs, Lukasheva insisted on creating a close connection between music and lyrics. The melancholy that surrounds some lines or even melodies reflects not so much her personal feeling as the story she tells. For example, in the profound poetry of Asja Klimanova, which sets Lukasheva in three pieces, including Old Houses. Metaphors and images reflect transience that is inseparable from life and letting go. For example, when describing the beauty of the decay of once crowded places. “When you pass your old school and at the same time see yourself as you once were and who you are today, both are true,” muses Lukasheva. “We do not want to get older, but trying to preserve time does not do us any good either.” To capture the spirit of the title track, she picked up street sounds at that place in Odessa that inspired her to the song and leaves them now frame the piece atmospherically. The album’s contrasting theme, Night And The Moon, captivates with its energy rushes, offensive vocal upheavals and dynamic twists, Old Houses and Awakening set in motion by striking rhythmic phrasing and amaze with exciting twists. Yanichku acts as a springboard for Scats and a far-reaching piano solo, as well as Marisija.